Who exactly were the ‘troubled’ families that David Cameron had in mind when he was speaking at Sandwell Christian Centre on 14 December? His slightly self-conscious use of the adjective ‘troubled’ may have been chosen to appeal to the religious sensibilities of his audience, perhaps to avoid any sense that he was being unnecessarily judgmental and to suggest that the families were suffering rather than causing suffering for others, but it did not fool the press; from the tabloids to the Financial Times, it was immediately translated as ‘problem’ and, taking their cue from the Prime Minister’s speech, links were made with those young people who had been involved in the street disturbances of the summer. To take just one of many possible examples, the day following the Prime Minister’s speech the Daily Telegraph reported that ‘Britain’s 120,000 problem families have attracted criticism for their role in last summer’s riots.’ Leaving aside for the moment the too easy identification of members of ‘problem families’ as responsible for the latest street disturbances, such precision about numbers should give pause. How were these calculations made? By whom? Using what criteria? Sadly, no journalist seriously challenged the fundamental notion that there exists a section of the population that can so easily be identified and counted, but some who commented on his speech seized on David Cameron’s shaky hold on recent history and his assertion that his proposals for dealing with anti-social behaviour are both novel and have become necessary because Labour’s attempts have failed. As the Guardian pointed out, his plan to spend £448M has its foundation in policies espoused by Tony Blair and expanded by Gordon Brown, and the research published by the Prime Minister was actually based on ideas developed by Louise Casey during the Labour years. That, of course, is an easy political point to make: the government’s innovations are not really as new as it would like us to believe. But we should not overlook another aspect of the speech and the policies it describes; neither the Prime Minister nor the journalists who either applauded or criticised him attempted to bring any sort of historical perspective to the discussion. The problem of the ‘troubled’ family, if indeed it exists in the form described by the Prime Minister and is no more than a construct conveniently produced from time to time, has a longer history than just that of last summer or the last administration. The last hundred years or so have seen a number of attempts to find appropriate nomenclature to describe those living at the edge of society, often in great poverty, and who sporadically have become the focus of attention from politicians and social scientists. The terminology may have changed, but the stigmatisation of some families has remained a constant. 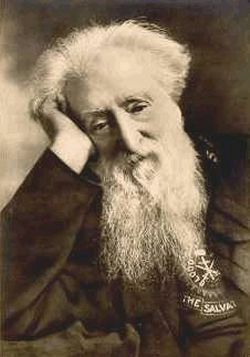 They were the ‘undeserving poor’ or, more graphically, the ‘submerged tenth’ identified by, for example, William Booth of the Salvation Army, in the late nineteenth century. By the inter-war period of the twentieth century they appear to have morphed into the ‘social problem group’, subjected to scrutiny by, among others, members of the Eugenics Society; the antisocial behaviour and failure to achieve what were perceived to be normal habits of cleanliness and domestic organisation exhibited by this ‘group’ featured in a number of the Society’s publications and were explained by difficulties associated with poor genetic inheritance. The descriptive label ‘social problem group’, was displaced in its turn by ‘problem families’. Applied to the same sort of poor family, this was first used by Hygiene Committee of the Women’s Group on Public Welfare in 1943, in its publication Our Towns. 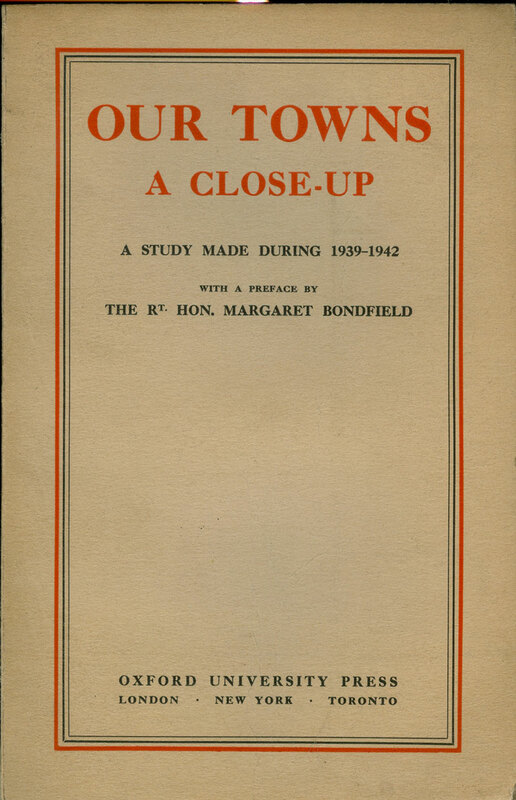 That small but influential book purported to outline the problems alleged to have been experienced by families forced to receive evacuees into their homes at the beginning of the Second World War. 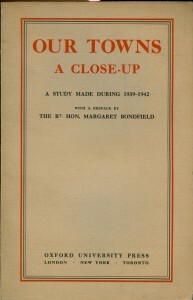 Although later to be challenged and, in some cases, found to be at least exaggerated if not occasionally fabricated, colourful descriptions of badly-mannered children, women unable to keep their homes clean and to train their children in acceptable social behaviour feature on its pages. The use of so pejorative a description (what must it be like to know that you are described as a ‘problem family’ or ‘multi-problem family’?) appears to have faded by the 1960s, to be replaced by the less stigmatizing ‘families with problems’: after all, what family doesn’t fit that description from time to time? It begins to recur, however, and to be freely used by journalists from about the 1990s. As we have seen in the last weeks, it now seems to be a description that trips easily off the tongue or the keyboard to be attached to deprived families whose reaction to their deprivation in some cases may be antisocial behaviour. That members of some families do behave badly is not contested. But what evidence is there that ‘problem families’ were solely responsible for the summer disturbances? Was the label ‘problem family’ applied to the wealthy pop stars or middle-class families whose progeny have been found equally guilty of anti-social behaviour? How lucky social workers are that the Prime Minister, who has no practical experience of social work himself, is on hand to offer a few tips: “When the front door opens and the worker goes in, they will see the family as a whole and get a plan of action together, agreed with the family. This will often be basic, practical things that are the building blocks of an orderly home and a responsible life”. If the Prime Minister’s diagnosis of the problem, even supposing that it exists in the terms he uses, lacks an historical perspective, so too does his suggestion that the voluntary sector might have something to offer. Many reports since the Sandwell speech note that the voluntary sector will be invited to contribute to the government’s initiative. But in what sense is that new? The voluntary sector has always been in the forefront of projects to assist the poorest in our society. Their methods might not receive approval today, but nineteenth-century child rescue organisations, like Dr Barnardo’s Homes, the Church of England Central Home for Waifs and Strays (now the Children’s Society) and many other less well-known and often local societies, played an important role in exposing the effects of poverty and helping to alleviate them. More recently, both the idea of the ‘problem family’ and its label were taken up by the war-time founders of what became Family Service Units and was used as the title of their much re-printed publication, Problem Families, first issued in 1945 and based on their relief work in Liverpool, Manchester and Stepney. Workers set out to help families who were often coping with appalling housing conditions made worse, but not necessarily caused, by the effects of war. 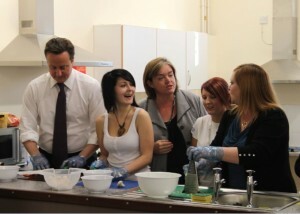 Mr Cameron would have been proud of them. They visited families regularly and frequently, helped them to clean and decorate their homes, made sure that they claimed such benefits as were available, encouraged school attendance and taught them how to manage their household budgets. Their methods received such acclaim that after the war Family Service Units were invited to work with newly constituted Children’s Departments and to set up bases in a number of towns and cities around the country, often funded in part by local authorities. They, and other voluntary societies, both local and national, who began to use similar sorts of ‘intensive family casework’, became important features in the landscape of social provision in the post-war period. These organisations identified numbers of causes for the plight in which families found themselves including the legacy of poor educational opportunities, marital breakdown, physical illness, mental health issues, unemployment or under-employment and bad housing for which landlords took little responsibility. They were at the forefront of research into ways of supporting and helping poor families and many of their methods were absorbed into the practices of the developing social work profession. But cuts in public spending, by this and other administrations, have starved some of these organisations of funds and the ability to innovate or even, in some cases, to exist. The Prime Minister may or may not have been aware of the genesis of the term ‘problem family’, but with his enthusiasm for the contribution made by the voluntary sector he and his advisers ought surely to have recognised that the problems of long-term poverty and deprivation and the effects that these have on family life are not new, and neither are the remedies that he advocates. So we’ve been here before. What is so wrong about the Prime Minister’s ideas is not that they won’t work – but that they have been shown to work and that the withdrawal of funding over the years has often made it impossible for voluntary organisations and local authorities to employ them. We are again walking along a path which pioneering social workers, employed in both the voluntary and the statutory sectors, would have recognised more than half a century ago. But as we face a future in which less history is taught in schools and social history is rubbished by some of our politicians, when funding to alleviate social deprivation is reduced, however that is disguised, can we really be surprised? This entry was posted in Pat Starkey, Politics, Reflections and tagged crime, David Cameron, families, religion, social work, voluntary sector, youth work. Bookmark the permalink. Yes, thanks for this helpful piece Pat, and sorry that I didn’t see it before now.